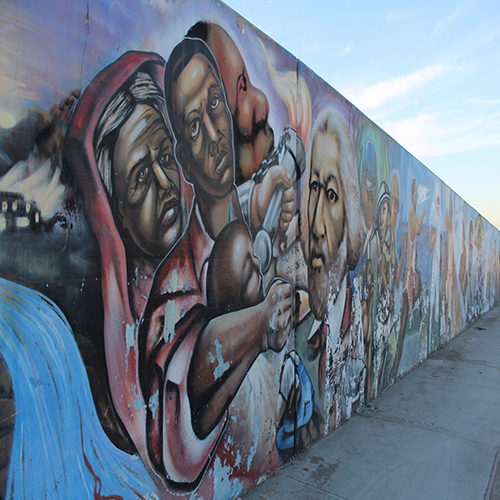 How one studio is bringing the arts to Crenshaw. 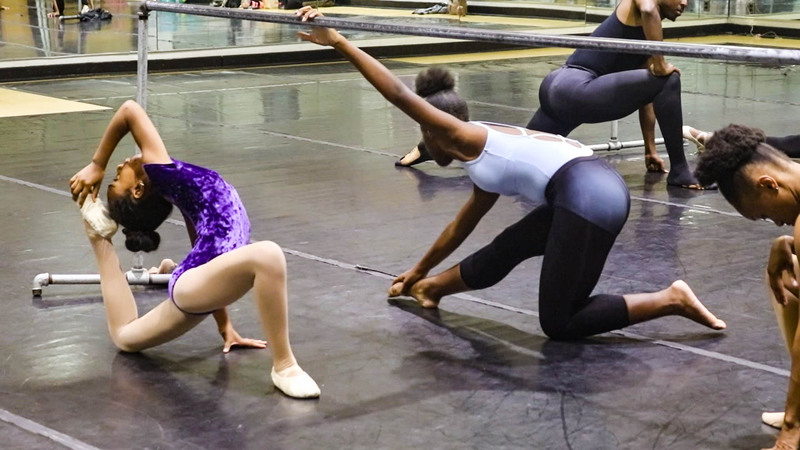 Behind a purple sign facing a busy street, middle-schoolers in leotards perform pirouettes while kids shake the ground with the tapping of their feet. A mural outside proclaims, “Dance lives here” – and for the students and professionals at the Lula Washington Dance Theatre, it always has. Located on Crenshaw Boulevard in a majority low-income, African American neighborhood, the organization has trained young dancers from the local community for over three decades. Its professional dance ensemble has performed from coast to coast and around the world, making stops in Israel, Russia, Mexico, Kosovo, Canada, Spain, Germany and China. But when they’re not touring the world or practicing their routines, Lula Washington’s dancers spend their time in Crenshaw – leading dance classes for local kids in the neighborhood’s only dance studio. The company’s namesake, Lula Washington, opened the studio while she and her husband, Erwin, were students at UCLA in 1980. Lula Washington grew up in a housing project in the Watts neighborhood of Los Angeles, and had no formal training in dance – so when she first applied to UCLA at the age of 22, she was rejected from the dance program. According to her husband, it took seeing her dance for the university to be convinced that she deserved to be there. "Anybody who comes here and works with us gets a start. They learn here, and then they take that knowledge somewhere else." Washington created her own unique style of dance drawn from her African American roots, combining elements of classical ballet, theatrical dance, hip hop and modern street dancing. Since then, she has choreographed films like The Little Mermaid and Avatar, and has performed on stages and screens across the country – but her focus is on the kids that come through her school, her husband said. When creating the studio, which became a nonprofit in 1981, the Washingtons aimed to provide a space for members of minority groups to learn and grow as dancers. Lula Washington wanted to anchor the space in the community, so she started an after-school program called “I Do Dance, Not Drugs!” to provide low-cost and free dance classes to neighborhood children. Since then, more than 45,000 kids have passed through her school, many of whom have gone on to start dance careers or studios of their own. The studio has faced challenges. The Northridge Earthquake leveled the company’s first building, located on Adams Boulevard, in 1994, and for a long time the Washingtons thought it would be too expensive to rebuild. But soon, they started getting calls from concerned parents asking when the studio would come back. The Lula Washington Dance Theatre has provided dance lessons to kids from the Crenshaw neighborhood since 1983. The dance company raised $1.3 million to purchase a new studio, which was renovated and then opened to the public in 2004. Since then, it’s hosted everything from youth dance competitions to the annual International Conference and Festival of Blacks in Dance. But one of its signature impacts, according to Erwin Washington, is through creating choreography around events that matter to the community, from police brutality to women’s health. 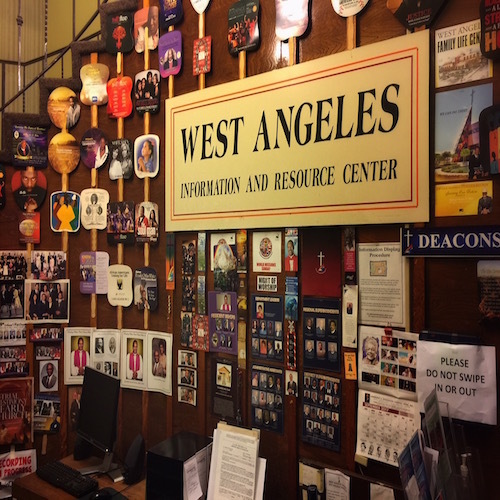 Journey back to the foundation of West Angeles Church of God and Christ to see how it has effected its surrounding community. Listen and read about how members and local residents react to the church’s steady growth.